Sony today at its press conference event at IFA 2012 event announced Xperia-branded tablet, dubbed as Tablet S. The tablet features Tegra 3 chip, Android 4.0 Ice Cream Sandwich (which company later promised to upgrade to Jelly Bean), up to 64GB of built-in storage. Other specs include SD slot, a 1280 X 800 IPS screen and a 6,000mAH battery promising ten hours of runtime. The tablet will start at $400 for the 16GB model, while 32GB model costs you $500 and 64GB for $600. 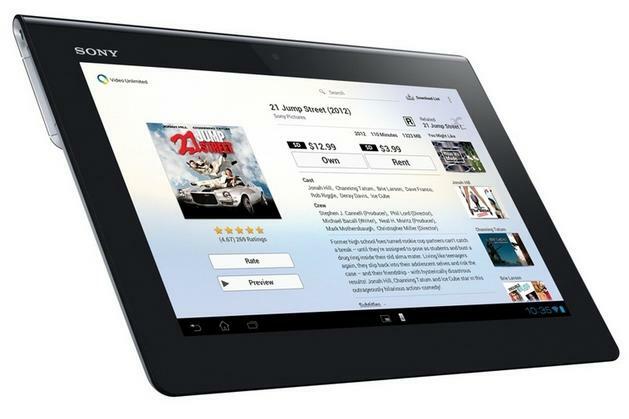 Sony is accepting pre-orders starting from today itself, although the tablet will be available September 7th.